Last night, Eurovision concluded for the year. The show is like a crazy mash up of American Idol and the Olympics. European countries compete in a televised singing competition in which people call in to vote for their favorite performers (you can’t vote for your own country). This event has been happening annually since 1956. My roommate’s girlfriend said that back in the day, the Soviet Union copied this idea for the Eastern Bloc and rebranded it Intervision. Because the Soviets didn’t have phones, people switched on their lights to vote and the spikes in electricity were used to determine the winner. 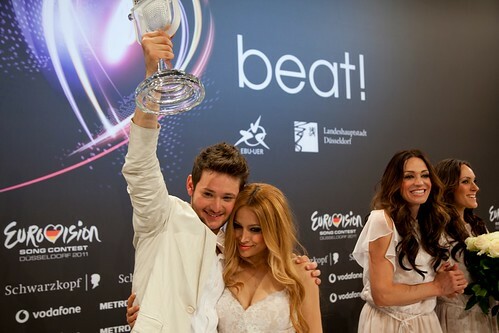 First place of the 2011 Eurovision contest goes to Azerbaijan. Who knew that was in Europe?